May 9, 2013  Defense Distributed put its gun-making blueprint on the Web for downloading. It says it's been asked by the government to stop doing that. But with more than 100,000 copies already distributed, it would seem the recipe is out there. May 6, 2013  The almost entirely plastic weapon fires .22-caliber bullets. Critics fear it will make such guns too easy to make and too hard to detect. 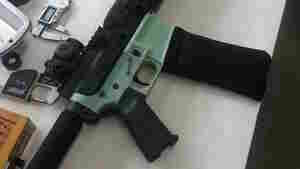 The designers say it's already possible to make your own firearms and that they're just creating another way. 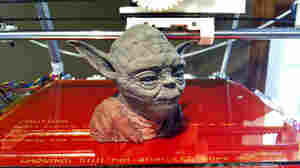 February 19, 2013  A 3-D printer allows people to easily create Yoda busts, Tintin's rocket ship — and even NPR action figures. But as this technology gets cheaper, the budding industry could face the same intellectual property battles that upended the music business a decade ago. 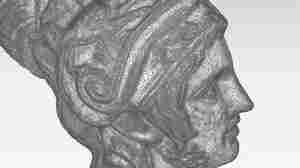 February 6, 2013  Owners of 3-D printers can create all sorts of imaginative items — cups, tools, jewelry. All they need is a design and the printer. 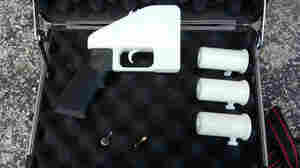 But now some gun parts are being produced with this technology, alarming some in the burgeoning 3-D printing industry.